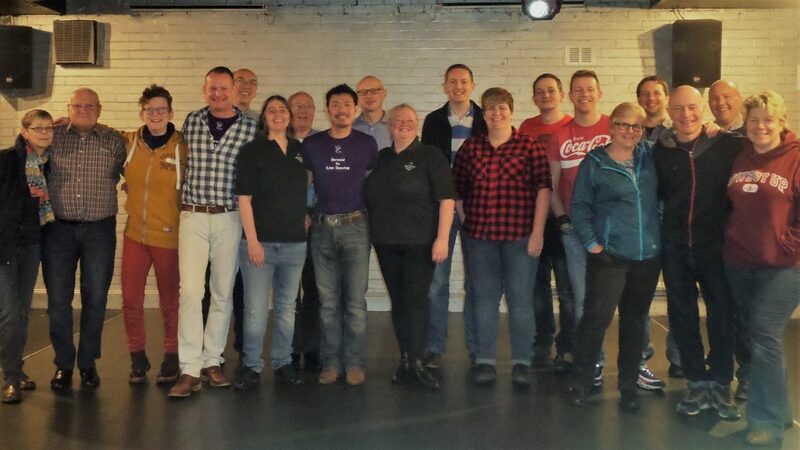 We are Manchester Prairie Dogs – Manchester’s best LGBT+ Line Dancing Club! A non-profit club aimed primarily at the LGBT+ Community, but where everyone is welcome, we have members of all different ages – both beginners and more experienced dancers. We dance every Tuesday evening upstairs at The Thompson’s Arms on Sackville Street in the Village between 7:30 and 10:00 pm, and teach dances most weeks too. So if you’re line dance curious, or a seasoned dancer wanting to get to know us, please come down and join us – we’re a friendly bunch and your first night will be absolutely free, what’s not to like! We also take part in, and host, a variety of events and activities throughout the year including our Outdoor Dancing on Canal Street – which usually takes place monthly on Sundays from Spring through to Autumn. The highlight of the Prairie Dogs Calendar is Manchester Pride, where we perform both in the Parade itself and over the weekend in the Village. You can keep up-to-date with all our activities on our Facebook page.